I’m listed on Pennaquod. It’s a search thingy powered by Google just for pen nerds and their blogs. My stuff doesn’t come up very often – sounds like it’s a Blogger thing and hopefully that will be fixed when I move to my own site. TWSBI has re-released their Classic Fountain Pen. 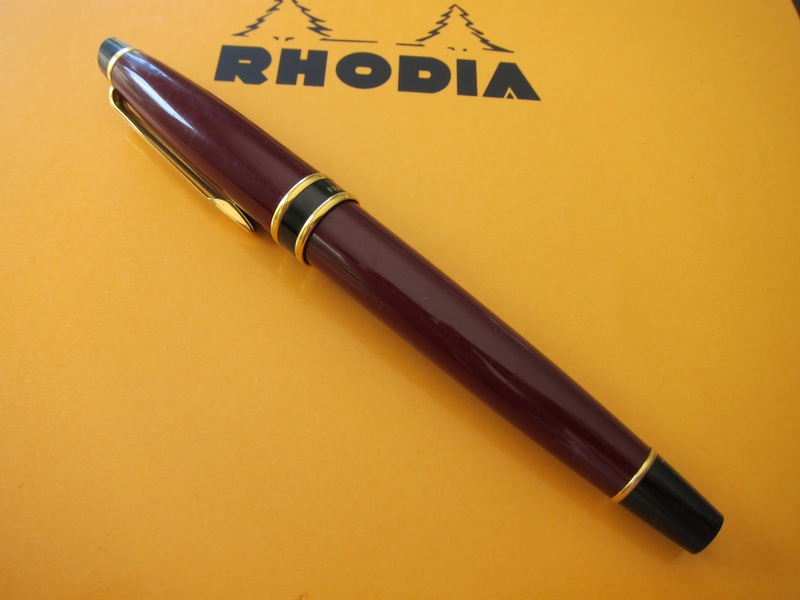 Gorgeous pens and now able to be posted. I asked on Instagram and I’m told that there will be a kit available for those of us who bought the unpostable (it’s a word!) version. I’ll be first in line for that kit, yo. Annnnnd here’s what I’ve been reading this week . . .
FP Physicist reviewed a Quiver – she wasn’t crazy about it. Gourmet Pens took an in-depth look at the Taccia Savanna. It’s made of BUFFALO HORN! Who knew! Inkdependence shows off the Franklin-Christoph music nib. I want. I don’t like stubs. I want. I really thought it would be more – it’s $35. Annnnnnd….I’m still fascinated with The Impulsive Buy. It’s just so…wrong. Noodler’s Liberty’s Elysium . . .
Montblanc’s newest inky release – Daniel Defoe – Palm Green . . .
That’s it from me this week! This entry was posted in GIVEAWAYS AND CONTESTS, PEN PALS and tagged found around friday by Christine (Pentulant). Bookmark the permalink.